The ALFA-ACOUSTICS hearing center offers comprehensive professional hearing aid services that includes hearing testing, custom fitting of hearing aids, as well as hearing aid repair. 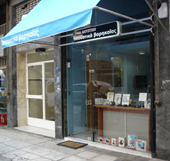 This is in addition to a full range of hearing aids products and accessories at the guaranteed lowest prices you can find in Athens Greece. We have the expertise and advanced technology to ensure you get the most thorough hearing evaluation and the right aid which fits your life-style and daily routine. Our goal is that you feel comfortable with your new hearing aid and most important that it helps you hear better. You can trust us to provide you with the right solution, the compassion and the personalized care you deserve. Therefore, if you have a hearing problem and missing out on all the wonderful sounds of life, the Alfa-Acoustics Hearing Center's job is to make sure you don't miss out on a single precious moment. Top-of-the-line hearing aids for your needs. Today there are many different types and styles of hearing aids available. The one that is best for you will depend on many factors including the amount of hearing loss you have and the listening situations you are in on a daily basis. The best way to determine the best hearing aid for you is to have your hearing tested by a licensed audiologist and discuss the options available to you. The field of hearing technology is constantly changing - and we're changing right along with it. We specialize in 100% digital hearing aids from top-of-the-line brands, including Beltone (at our Jackson location), GN ReSound, Sonic Innovations, Widex, Siemens, Oticon, Phonak and more. These amazing hearing aids pack the power of a personal computer into a tiny device that offers you exceptional sound quality, automatic volume adjustment and multiple frequencies that can be programmed specifically to your individual needs. They're so small and comfortable that many of our patients forget they're wearing them! And because each person is different, we carry almost every model, style and type of hearing aid so you can make a personal choice based on your individual needs and preferences. We offer a wide selection of programmable hearing aids and virtually unnoticeable completely-in-the-canal versions. We'll make sure your hearing aid fits comfortably, works properly and gives you the maximum hearing enhancement you can receive. We believe that it takes more than technology to create the best hearing care solution. That's why we put the individual needs and wishes of the hard-of-hearing first in our development of new hearing care solutions. Because hearing care professionals are the key to ensuring that the optimum solution reaches those who need it, they are also the key to our success. This uncompromising focus on the needs of the hard-of-hearing forms the basis of everything we do at the center. Whether it's hearing instruments or fitting systems, audiology or technology, or our relations with hearing care professionals, our starting point remains the same. Our mission is to improve the quality of your life, to improve communication between you and your family, and to enhance your sense of belonging and contribution to your community. We will do everything possible to assure your satisfaction with our service and product. If you are not completely satisfied, we are not satisfied. 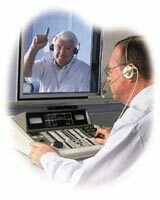 Hearing Professionals use technology plus their expert ability to help you hear to the best of your ability. Hearing aids are worn behind the ear, in the ear, in the canal or completely in the canal (CIC). Although the CIC design is more discreet to wear, the small size and placement in the ear canal allows you to hear better. The natural curves and folds of the outer ear were created to direct sounds to the ear canal. Conventional instruments worn in the outer ear obstructed the sound path of important frequencies needed to understand speech. The outer ear also protects the hearing instrument from wind noise. Additionally, the CIC instrument located closer to the ear drum requires less volume thus reducing feedback noises and enables most patients to talk on the telephone. Better hearing is a process not an event. Aural Rehabilitation and instrument adjustments require additional office visits following the fitting of a hearing aid. Hearing instruments with programmable and digital circuits enable fine tuning adjustments to be made in the Hearing Professional's office vs sending the instrument back to the manufacturing lab. • Diagnostic hearing testing and fitting at our office, or in special occasions we visit patients at home in the Athens Area. • Multi-line hearing instrument sales. • Repair of all hearing instrument makes and models. • Computer analysis of hearing instruments. • Assistive listening devices, including amplified telephones, alarm clocks, cordless TV hearing systems, self-cleaning systems etc. • Complimentary consultation, hearing instrument cleaning and checking. • All types of hearing aids batteries. ALFA ACOUSTICS Ltd is located in Athens Greece (Pagrati Area) and we are Members of the Greek Association of Audiologists. We are also provide a Quality System by ΕΚΕΒΥΛ Ε3/833/99 and all our products are imported by the most well-known European and US Manufacturers.